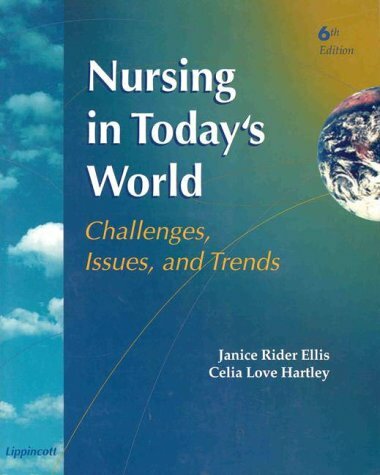 Amazon.com description: Product Description: The sixth edition of this text has been revised to reflect advances in information, trends and changes in the health care system. There is updated coverage on issues such as: functioning in the managed care environment and the changing health care delivery system; nursing employment settings; trends towards triaging health care and financial limits on care; collaborative care and the demands of interdisciplinary practice; community-based practice and decentralization of health care service; working with unlicensed assistive personnel; and legal, ethical and bioethical issues. Highlights in this edition include a greater focus on cultural sensitivity and multiculturalism; making goals into realities; "real life" experiences, stories and quotes; and significant management issues.